MOSCOW (Sputnik), Tommy Yang - In March, Tim Bardole, a farmer from Rippey, Iowa, borrowed about $500,000 from banks to plant soybeans in the 700 acres of farmland his family manages, and by October, he would have started to sell the harvested soybeans and prepare to pay back the loans. The Chinese government is seeking alternatives to its US soybean imports to feed its massive livestock population and ensure food security – and amongst the measures proposed are the use of alternative crops, imports of soy from third-party countries, and a reduction of protein levels in animal feed. Top Japanese officials say the island nation could ramp up its imports of US soybeans and, possibly, oil as part of a broader bilateral trade agreement, which could allow Japanese carmakers to maintain their presence in the US market. The price of soybean futures fell from above $10 per bushel in May to almost $8.50 in August, following Chinese retaliatory tariffs against the US. The response was triggered by tariffs on steel and aluminum imports, announced by US President Donald Trump in March. A cargo vessel full of soybeans from the United States has finally docked in a Chinese port after a month of uncertainty. The ship is reportedly the first victim of the ongoing US-China trade war as Beijing imposed billions of dollars in tariffs on American goods. 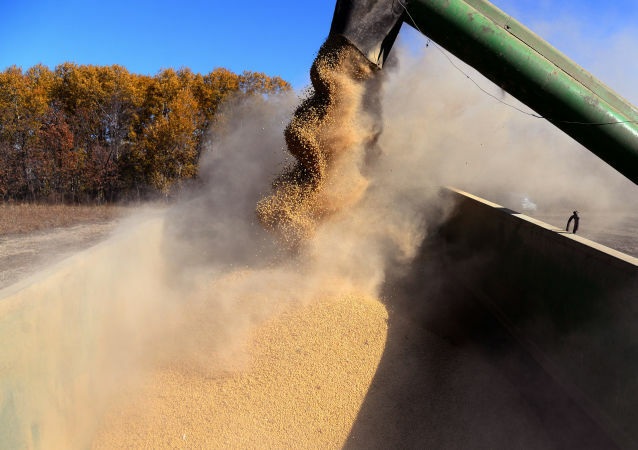 MOSCOW (Sputnik), Tommy Yang - Facing the daunting task of filling the massive gap in soybeans supply in China during the upcoming winter season, Chinese traders are unlikely to take the political risks associated with purchasing soybeans from the United States amid escalating trade tensions between the two countries, experts told Sputnik. 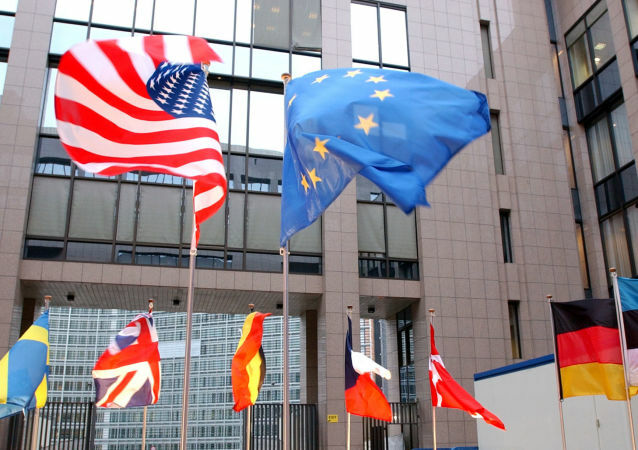 An unexpected compromise was announced Wednesday afternoon by US President Donald Trump and EU Commission President Jean-Claude Juncker, assuaging fears of a trade war between the US and European Union. However, that agreement is mostly for show, an economist told Sputnik News, and its promises mostly tactical. MOSCOW (Sputnik) - Chinese authorities have ordered additional soybeans to be planted in the Heilongjiang province and the Jilin province in northeast China amid fears that imports of soybeans could be affected by growing trade tensions with the United States, Chinese media reported Thursday. With another mirror move, reported by Xinhua on April 4, Beijing has made another step in retaliating to the tariff war initiated by US President Donald Trump. Importing or selling genetically modified (GM) soybean is a punishable offense in India. However, a racket unearthing the illegal cultivation of imported GM soybean seeds was reported from the western state of Gujarat last year. Global warming has reduced the harvest of four of the most popular crops worldwide, according to a new study by a team of researchers. Professor Senthold Asseng told Sputnik that the yields of wheat, rice and corn have decreased, and although climate change will continue to affect crop production, in some countries it may actually increase yields.